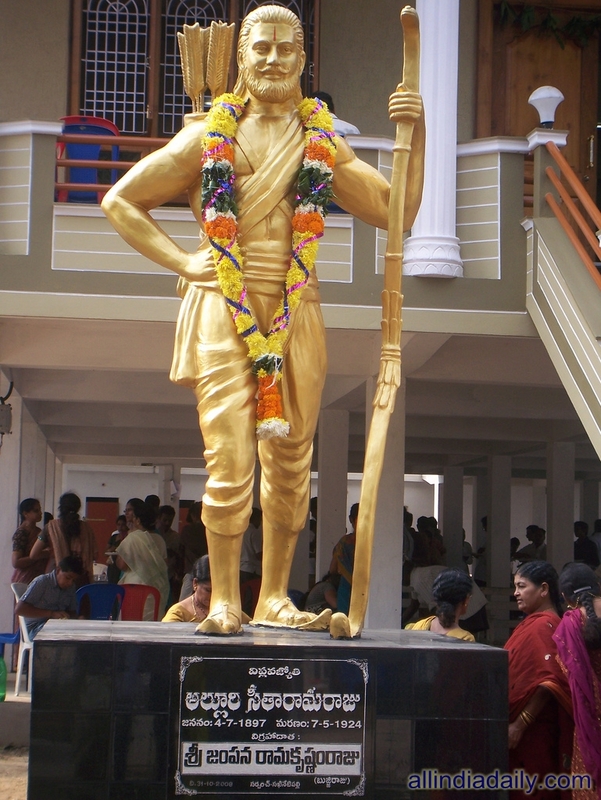 Alluri Sitaramaraju (1897-1924; also called Alluri Ramachandra Raju) was The freedom fighter from Vizag. He was the leader of the ill-fated "Rampa Rebellion" that was fought against the British from 1922 to 1923. Popularly referred to as ‘Raju’, he lives on in the hearts of the Telugu people as the Manyam Veerudu ('hero of the jungles'). Raju was born on July 4, 1897 in Pandrangi village in the Visakhapatnam district of Andhra Pradesh to a Telugu Kshatriya family. His mother was from Visakhapatnam and his father was a native of Mogallu, near Bhimavaram, and was an official photographer in the central jail at Rajahmundry. The young Raju lived mainly in Mogallu and was educated in Rajamundry at the Vullithota Bangarayya school, as well as in Kakinada, Tuni and Ramachandrapuram in the East Godavari district. The repressive measures and the unjust policies of the British, coupled with the misdeeds of British contractors who exploited and oppressed the workers of the hill tribes of the Vizag, brought Sitaramaraju into a tussle with the police who supported the contractors. This eventually culminated in the Rampa Rebellion (or Rampa Pituri; 'pituri' means 'complaints' in Telugu). Sitaramaraju carried out his campaign in the East Godavari and Vizag. Inspired by the patriotic zeal of the revolutionaries in Bengal, and the decisions taken by them at a meeting in Chittagong in 1921, Sitaramaraju raided many police stations in and around Chintapalli, Krishnadevipeta and Rajavommangi, carrying off guns and powder, and killing several British army officers, including the ruthless Scott Coward and Hites, near Damanapalli. Under the leadership of one Saunders, the British deployed a company of the Assam Rifles, near Pedagaddapalem, in December 1922. 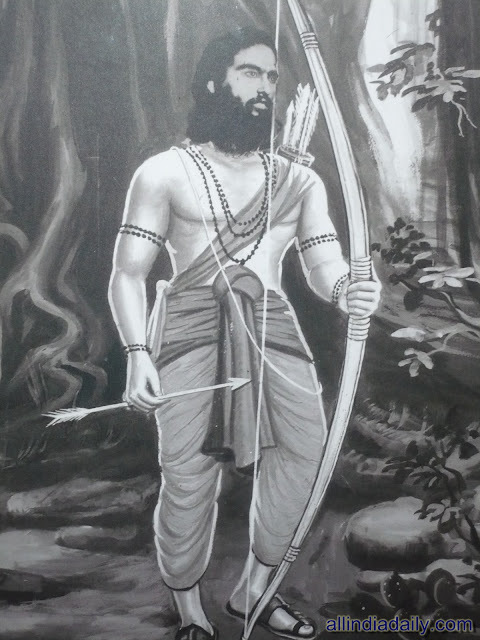 Sitaramaraju, who had by then gone underground, resurfaced after some four months and continued the fight, strengthened by tribal volunteers, using bows and arrows. He was ably assisted by two brothers, Mallu Dora and Gantam Dora, who were tribal leaders. They were skilful in guerrilla warfare as they were well-versed with the difficult terrain which was covered by thick forests and valleys. On September 18, 1923, Sitaramaju raided the Annavaram police outpost. Subsequently, Mallu Dora was arrested. The Government entrusted the task of containing Sitaramaraju ‘s activities to one Rutherford, who fired the first salvo when his forces arrested Pericherla Suryanarayana Raju, popularly known as "Aggirju", a strong follower of Sitaramaraju. The campaign lasted nearly one year from December 1922, and petered off by October 1923. 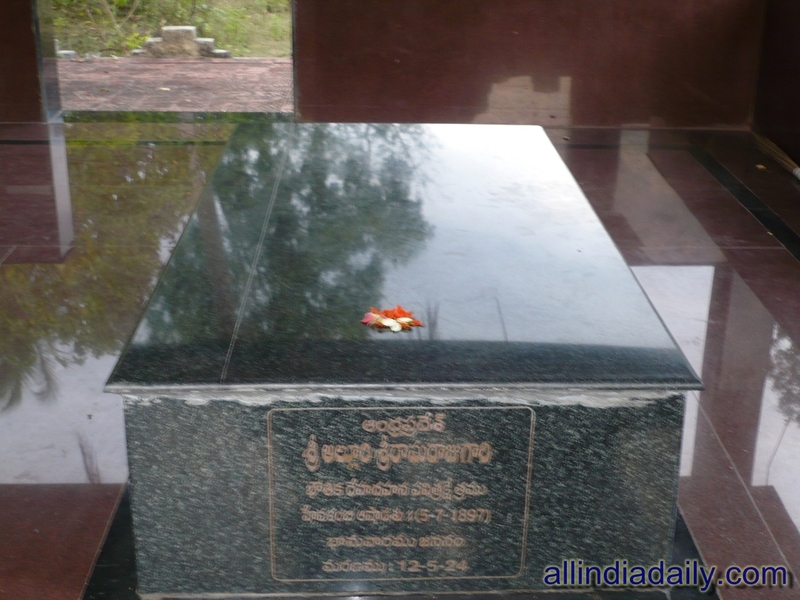 Sitaramaraju surrendered himself, and was shot dead without a trial in May 1924.